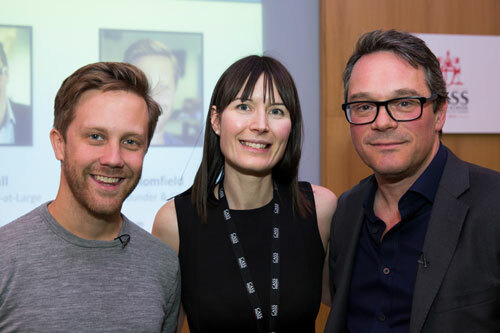 The co-founder and CEO of Monzo, Tom Blomfield, spoke exclusively to students and aspiring entrepreneurs at Cass Business School on Thursday, sharing his thoughts on entrepreneurship, startups and the future of banking. 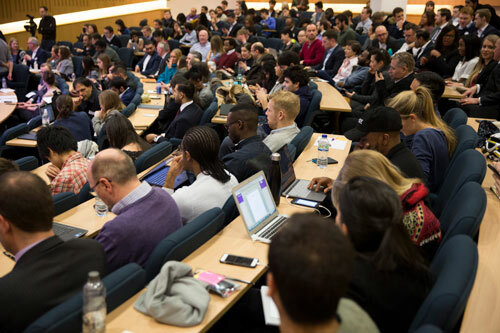 The sell-out event was part of a series of EntrepreneursTalk@Cass talks, sponsored by Thomson Reuters. 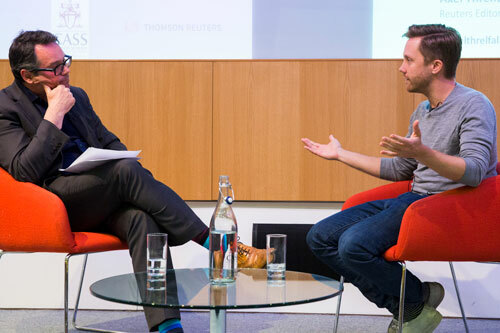 Tom was interviewed by Thomson Reuters Editor-at-Large, Axel Threlfall. 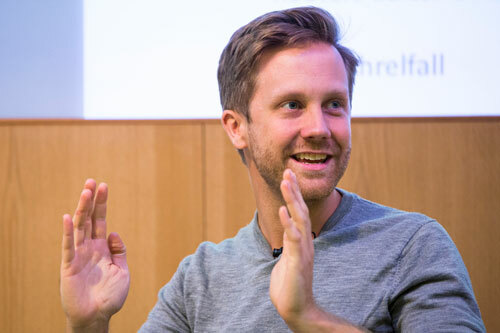 Tom discussed the challenges of profitability, saying his current priority was ensuring that Monzo broke even in 2018 and turned a profit in 2019. He said he wasn’t worried about the big banks muscling in on Monzo’s turf. Tom said he thought a new era of banking was on the way, with app-based banking perhaps the only way to manage your finances. Tom spoke about how much he enjoyed building a product – and then hearing people talk about what they thought about it. Tom said Monzo’s target customer is people who use their cell phones to run their lives He said the most important lesson was to build trust with your customers. Tom said Monzo workers were smart, first principle thinkers who care about life and the world, as well as the Monzo mission and values. Speaking on International Women’s Day, he also said Monzo was committed to diversity and inclusion and had recently signed up to the Women in Finance Charter. Monzo aims to have at least 40 per cent female representation in their Executive Committee and Board by 2020. Wendi Lai and Katerina Koleva are both studying for an MSc in Entrepreneurship at Cass. They said they found the evening inspiring and informative. “I liked what Tom said about the importance of building a product which has a strong customer focus and is a product that people love,” said Wendi. “We can apply what he said tonight to what we’re learning on the MSc,” Katerina added. Aurore Hochard is Head of Entrepreneurship Programmes at Cass. She said she was delighted to welcome Tom to Cass to share his insights and experience with students and staff. Tom Blomfield was born in Hong Kong in 1986. He read Law at Oxford and worked as a management consultant before co-founding Boso.com and GoCardless. Tom co-founded leading challenger bank Monzo with Jonas Huckestein, Jason Bates, Paul Rippon and Gary Dolman in 2015. In 2013, Tom was recognised as one of the top five entrepreneurs under 30 by the European Commission. EntrepreneursTalk@Cass, in partnership with Thomson Reuters, are intimate, in-depth interviews with some of the UK’s most innovative and inspirational tech entrepreneurs. 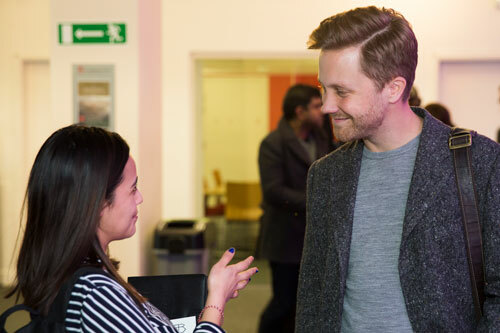 Find out more about Entrepreneurship at Cass here.